Fusilli processed by hand one by one by Pastaio di Gragnano. 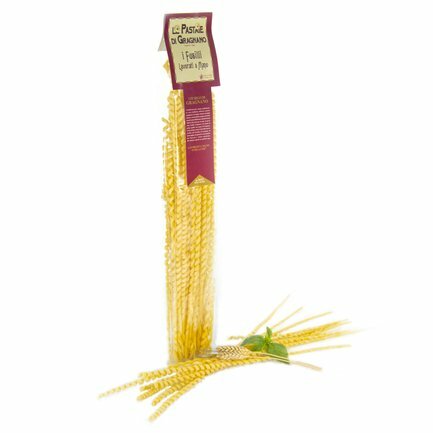 The Fusilli processed by hand one by one by Pastaio di Gragnano are made using carefully selected wheat semolina that is slowly mixed together with non-calcic water, it is then extruded through bronze dies and left to dry slowly for up to 48 hours. In Gragnano (NA) the fresh air of the Vesuvio meets the breeze of the Gulf of Sorrento, creating a climatic harmony that is particularly suitable for making pasta. Thanks to their coarse texture, they exalt any type of condiment, gently capturing your salsas and sauces.